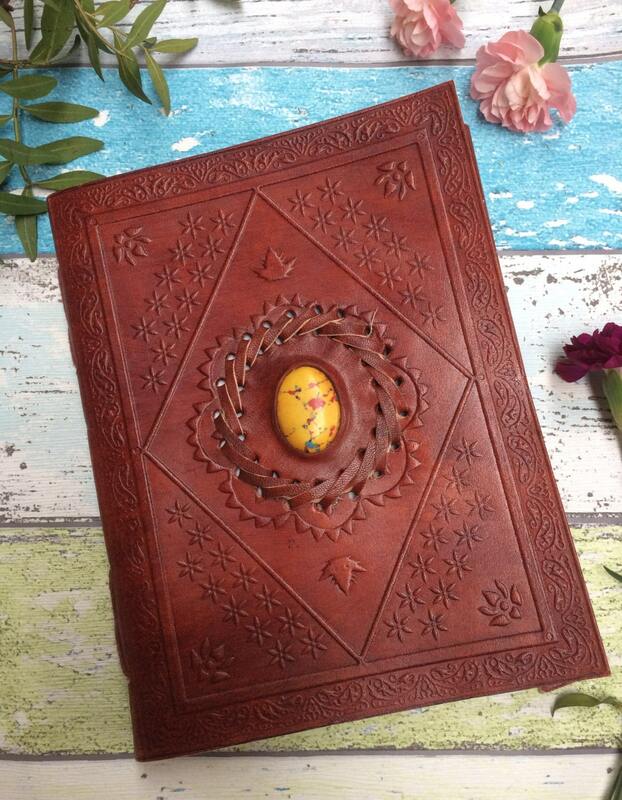 Our stunning hand embossed journals feature hand engraved leather covers, beautiful crystals and natural recycled papers. 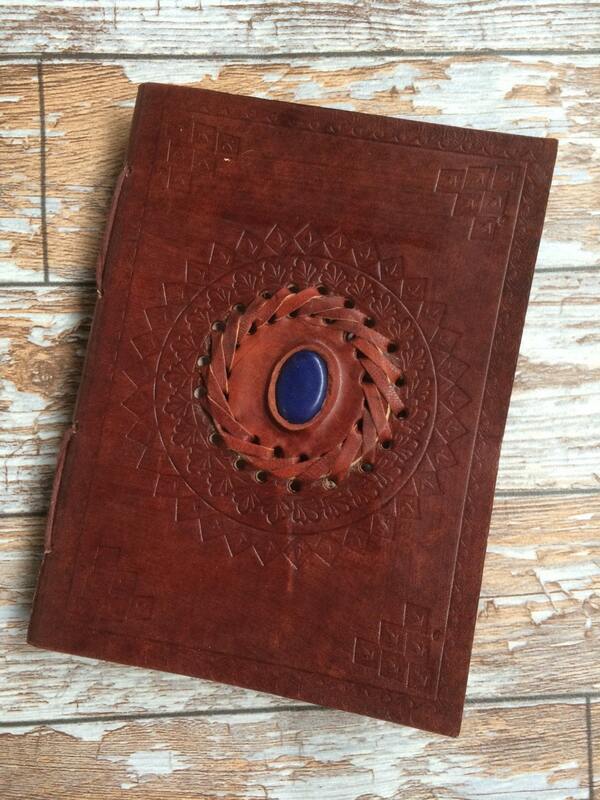 Our leather journals measure 8in x 6in and are made with beautiful handmade Nepalese papers and vintage leathers, stand out with these rich crystal encrusted, embossed notebooks. 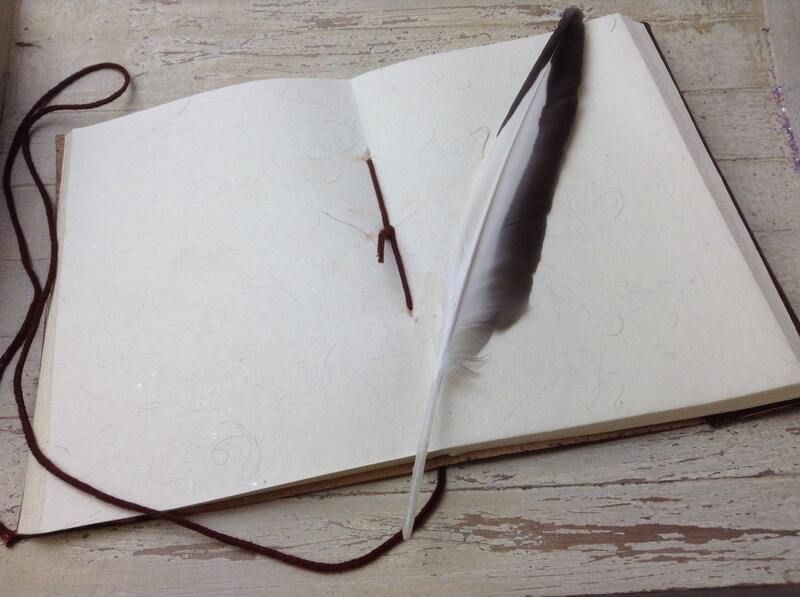 *Please note all of our journals are handmade and therefore design may vary slightly from original photograph. 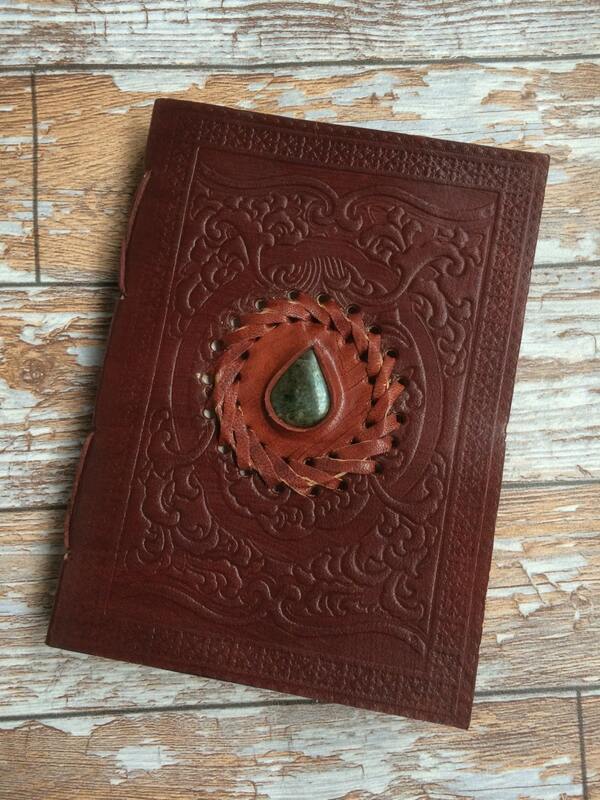 Lovely quality journal with a stunning pattern on the front. The paper is really tactile and feels lovely. 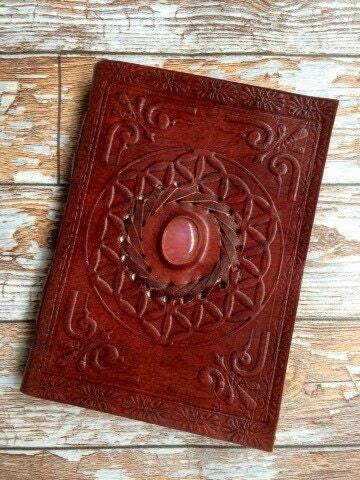 Makes an excellent journal for D&D sessions. Shipped fast. Beautiful my girlfriend loved it thank you so much! I bought this as a Christmas gift for my mother. It's beautifully made and the service was fantastic! Thank you very much!